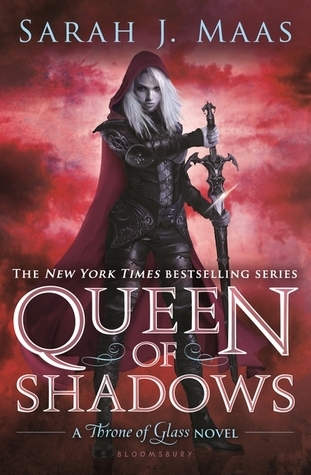 Last month I re-read the Throne of Glass series and The Assassins Blade by Sarah J. Maas, so after finishing Heir of Fire for a second time and the beautiful cover release for Queen of Shadows, I figured it was time for me to share the things that I want or expect to happen in this fourth installment. Just as a warning, this post will include spoilers for the other books in this series. So at the end of HoF, Celaena has embraced her identity as Aelin and she has left Rowan behind to travel back to the city, the palace, and ultimately the king. She is going back as Celaena Sardothien and obviously has some sort of plan in her mind as to how she is going to use that to her advantage. Here is my major concern with that; I have a hard time believing that the king really won’t know who she is. I mean, he is super clever and scheming all the time, I don’t think that he isn’t going to put two and two together. Celaena coming back without having done the job she was sent there to do is already risky enough, but on top of being furious, the king might question what she was doing with all of her time over there. And with everything going on with Aelin emerging where Celaena was, plus all of the curious things surrounding Celaena in the castle, which we all know the king has noticed, he shouldn’t have trouble connecting things. So the question is, is Celaena actually walking into a trap? On of the main questions I have is what exactly is going to happen to Dorian? At the end of HoF, his father locked the black collar around his neck and that’s all we got. I’m not sure if having the collar on is going to just put Dorian under his father’s control, or if it’s actually going to change him into something evil. Sarah J. Maas stated that QoS will be opening with a chapter from Dorian’s POV so I guess we are going to find out. I’m worried the king is going to use Dorian to get information out of Celaena or betray her. I think my main fear is that she is going to have to end up killing Dorian. Or actually, it would be even worse if Chaol has to kill him. Like if he and Celaena team up now that he has left the castle and his duties behind, and ultimately they can’t save Dorian so they have to kill him to save him. I feel like it would be extra heart-wrenching to have Chaol do it since they were like brothers. Speaking of Chaol, I’m so nervous to see where he and Celaena are headed. I’m a huge shipper of them together, but I’m so nervous after HoF. Rowan implies that Chaol can’t actually be Celaena’s mate, and at the very end of the book, she takes off the ring she got from him and feels lighter. Obviously they aren’t done with each other, but I’m scared they will be romantically. However, maybe there is a loophole with the mate thing and maybe once she sees that Chaol picked her side, their romance will rekindle. I just don’t see her being with anyone else, or at least not any of the other male characters in the book right now. I feel like her being with Dorian would make sense, so they can rule together, but I don’t see it happening since she already kind of went down that road. I don’t want her to end up with Rowan, what they have is so much better than romance and I would be so mad if they lost it for some smooching time. Besides the two of them, that basically leaves Aedion or a new character. I don’t see Aedion happening since they are cousins, and I don’t like the idea of a guy coming in this late in the series to woo her. I don’t know, maybe Celaena won’t be with anyone, which I would prefer before anyone but Chaol. I also have my finger crossed that we are going to see more of Manon in QoS. I loved her story line and her as a character in HoF and we know that something is going on with the witch clans. I do ultimately think that Manon will team up with Celaena, but maybe only after they face each other. I’m just intrigued to see exactly what sort of plan the king has for the witch clans and their new mounts. 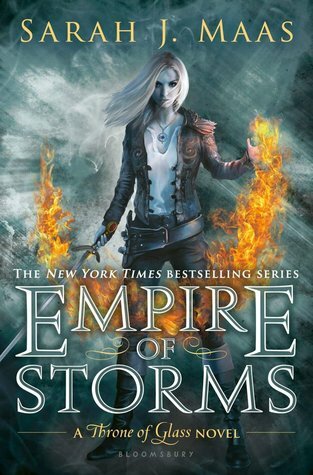 I don’t necessarily think that Manon and Celaena will meet up in QoS, because I feel like Manon might take this book to question herself and her duties more before encountering Celaena. We see a bit of Manon’s heart in HoF and her disobeying her grandmother, but I feel like the doubt isn’t strong enough yet for her to justify turning her back on the rest of the clans. The only other things I know about QoS is just that it’s going to be substantially longer than HoF which is both exciting and intimidating, and that Celaena is going to be using her ninja suit from The Assassin’s Blade. 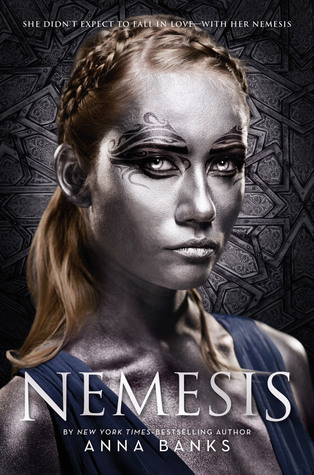 We also are going to be seeing the name change in this book, from Celaena to Aelin. I personally think I’m going to have a bit of a hard time dealing with this, but I’m sure I will get used to it eventually. Please let me know what you guys think or hope is going to happen in Queen of Shadows! I honestly cannot wait for this book to come out, it’s release date is set for September 1st and it feels like a lifetime away.